In a bid to reduce the harmful effect on wildlife and to avoid potential risk of fire, Worcester City Council has become the latest council to ban the release of helium balloons and sky lanterns. Many other local authorities, including Worcestershire County Council, have already prohibited the release of balloons and lanterns, which are made of paper and are powered by a flame suspended on a wire frame, from their land. Following the decision, Cllr Jabba Riaz, Cabinet Member for Clean, Green and Leisure Services said: “We understand why people might view balloons and sky lanterns as a popular addition to social gatherings and events. "However, our wildlife is clearly paying a very heavy price for this type of spectacle, and lanterns have the potential to cause serious fires. In 2013 Farmers Guardian launched its ’Say No to Sky Lanterns’ campaign in response to a growing number of farmers reporting livestock injuries and fatalities due to the lanterns. Many councils in the UK have already introduced bans on the release of balloons and sky lanterns on their land. The NFU is calling for an outright ban on sky lanterns and points out the fire risk they present, with fields of standing crops, hay and straw stacks, farm buildings and thatched roofs all at significant risk of being set alight. 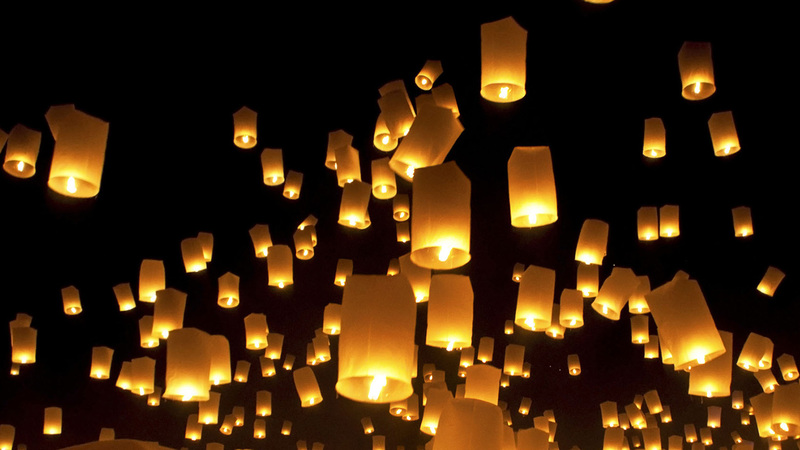 How do sky lanterns cause harm to animals and the countryside? Livestock can be injured or killed from eating lantern parts accidentally chopped into animal feed during harvest, or getting caught in wire frames which have landed in fields. Sharp parts they can tear and puncture an animal’s throat or stomach causing internal bleeding or death. Animals can become entangled in fallen lantern frames and suffer from injury and stress struggling to get free, or starve to death. Marine life is endangered by lanterns falling into the sea. The remnants fall to the ground and become litter. The lanterns, powered by an open flame, also pose a major fire risk.